Foreclosure sales are properties sold due to delinquent tax liens after other collection efforts have been exhausted. The process of foreclosure, from start to finish, can take as little as 60 days or as long as 18 months. Owners or lienholders have until the day of sale to pay taxes and fees in full, which would stop the sale of the property. The County opens bidding at the amount equal to delinquent taxes, interest and legal costs. Anyone may offer an amount over the County's bid at public auction and obtain ownership upon completion of a 10-day upset bid period. The foreclosure sale will be made subject to all outstanding County, city, fire district taxes and all local improvement assessments against the described property not included in the judgment. All other liens on the property may be extinguished at time of sale. The Collections department maintains the tax foreclosure listing; however, the office does not maintain or provide a mailing list of these properties. When foreclosure properties are ready, the sale dates and times are posted. Foreclosure sales are held on the Cabarrus County Courthouse steps, 77 Union Street South, Concord, NC, 28025 at the date and time assigned by the courts. This information is updated on the listing and calendar. You must be in attendance at the sale to bid on a property. At the time of sale, if you are the highest bidder, the attorney will require a deposit of 20% of the amount of the bid. Only cash, money orders or certified funds are accepted for a deposit on the sale day. 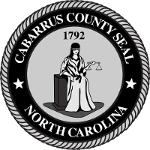 Cabarrus County does not offer financing, although you could possibly obtain financing from a financial institution. The sale is subject to a 10-day upset bid period as required by law. Upset bids must be submitted in person at the Cabarrus County Courthouse, office of the Clerk of Superior Court, Room 104. Provide the court case number, available on the listing, to the office of the Clerk of Superior Court in order for the record to be accessed. Upset bids require a 5% increase over the last highest bid, with a minimum increase of $750. Inquiries regarding close out status of foreclosure sales must be made in person at office of the Clerk of Superior Court. If you are the highest bidder at the close of the upset bid period, final payment is due in the foreclosure attorney&#39;s office upon delivery of the Commissioner's deed, no later than 30 days after completion of the 10-day upset bid period. Unless otherwise stated in the notice of sale, all other liens with the exception of current year taxes, if applicable, are eliminated when the Commissioner's deed is issued and recorded. It is recommended you seek legal advice in the foreclosure process from your personal attorney. If you have specific questions regarding a property you can contact the Collections department at 704-920-2118.